The UBC Free Speech Club hosted a lecture by Dr. Jordan Peterson on “The Left Wing Case for Free Speech” at UBC’s Robson Square campus on Friday. Peterson became a controversial figure after opposing the “political correctness” of Bill C-16 — which was passed to add gender identity and expression as prohibited grounds of discrimination under the Canadian Human Rights Act — and stating that he refuses to use gender neutral pronouns in a YouTube video last September. A professor of psychology at the University of Toronto, Peterson used the event to argue that society needs both the left and right side of the political spectrum to function properly, but dialogue between the two is essential. Peterson then made his case to the left, who he argued, of all people, should be in favour of free speech. “If you’re on the side of the oppressed like you claim, then you should be standing up as diligently as you possibly can for the right to free speech because it’s the most powerful weapon that you have to right the societal wrongs that you are hypothetically — and perhaps realistically — concerned about,” he said. “The manner in which the human soul manifests itself so that society can be guided by it is through dialogue, through communication, through free speech,” said Peterson, calling these actions “damnable, murderous and reprehensible Marxism. After his lecture, Peterson took questions from the audience, one of which asked him what to do when speaking to some who might equate certain words to violence. An attendee then asked whether the right wing is being oppressed. 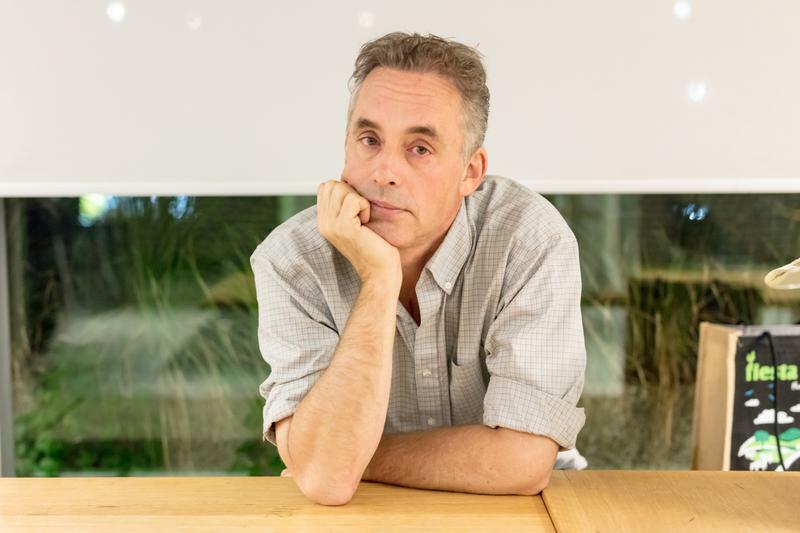 After urging parents not to allow their children to take university humanities courses, Peterson said he believes the left wing has become too powerful in the current academic institutional structure. Peterson caused a fair amount of controversy at UBC earlier this school year. At a debate of Bill C-16 hosted by the University of Toronto in November, UBC education professor Dr. Mary Bryson clashed with Peterson over his refusal to refer to non-binary individuals with gender-neutral pronouns. While there ended up not being any private security at the event — the Free Speech Club decided against it since they didn’t feel it was necessary — there were no protests. The UBC Free Speech Club — who said that they felt it was important to bring Peterson to UBC because he “might very well be the most important intellectual of our time” in a written statement — stipulated that the purpose of the event was to foster political unity for proponents of free speech. Jordan Peterson "The Left-Wing case for Free Speech"